but a well-rounded HUMAN BEING! Growing up with stories and tales plays an important role in children's development. This is because children connect with heroes in the stories and keep them in their hearts and imaginations. These dreams and heroes play an important part of their developing personalities. Inspired by real-life characters, Puyo & Aya champion the idea that children never lose their pure, sincere, unconditional and innate love, and they have no doubt that the power of their love is needed to create a more beautiful world. The Puyo & Aya book and animation series is targeted towards and prepared carefully for pre-school children. As a priority, the series seeks to expand the imagination of young children, and open their minds to positivity, goodness and happiness. 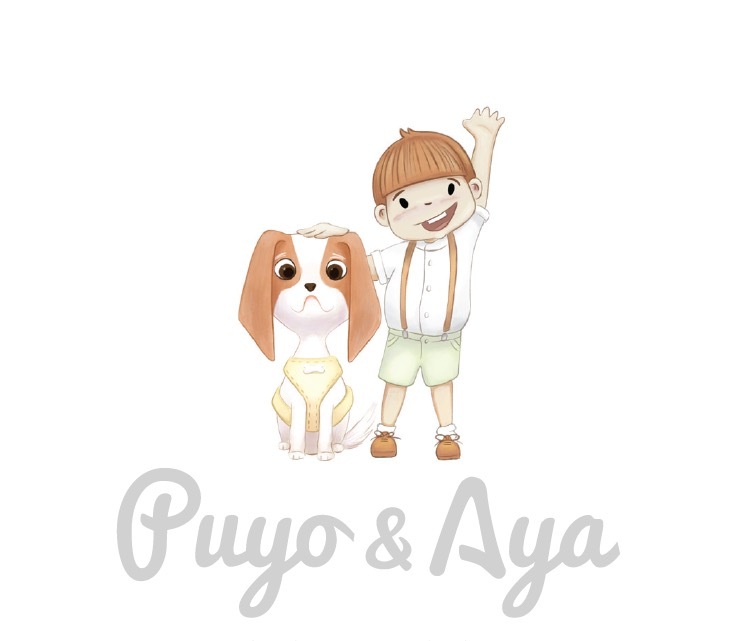 Puyo & Aya helps children adopt values such as humanity, love for animals and nature, happiness, cooperation, friendship, sharing, sensitivity, equality, justice, hard work and more. The series aims to help children form a well-rounded set of human values. To achieve this, the series makes lessons fun and easy to retain by combining the basic concepts of colours, shapes, numbers, etc. with drawings and stories that will develop the imagination of children. Puyo & Aya also includes toys and blankets, which helps children feel relaxed and secure, creating a safe environment for reading books and listening to stories. With their soft textures, the blankets and toys will become indispensable to children. These lovingly hand crafted blankets and toys are certified natural products. We have taken time to ensure that these products meet our high quality, environmental and health standards, to the fullest possible extent. We say "fullest possible extent" as we know how difficult it is to acquire natural and healthy products. We therefore work with sustainability, raising awareness and social responsibility projects. Our deepest wish is for a more beautiful world with sensitive, kind and warm-hearted people. To achieve this; we set out with the goal of turning a child into more than just an adult, but a well-rounded HUMAN BEING!